The local cause was started here in 1750. 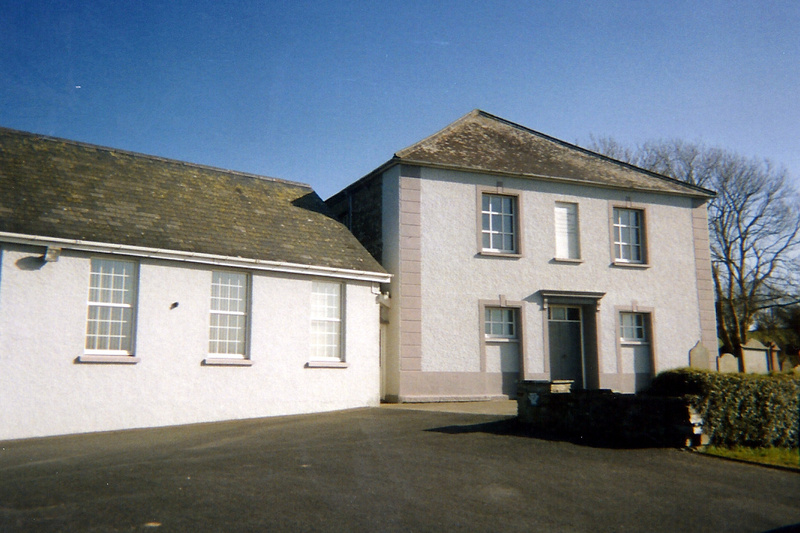 The chapel was founded in 1769 as single-storey Ty Gwyn Particular Baptist Chapel. It became independent of Cilfowyr in 1799. In 1800 Rev. William Richards became the first Minister here. In 1809 it was rebuilt, this time with a gallery added, the stairs to which were on the outside of the building. In 1836 minister Rev. William Richards died aged 66. The chapel was rebuilt again in 1838 when Rev. William Roberts was the Minister. In 1838 a faithful Deacon of Penparc Chapel, John Griffiths of Blaenwenen Farm, founded Blaenwenen Baptist Chapel. In 1838-42 Rev. William Roberts was the Minister. In 1845 Rev. John Lloyd became the Minister until 1850. In 1851 Thomas Davies of Cwmarch was the Deacon. Average Sunday attendance was 320 plus 90 scholars in the mornings, 300 plus 90 scholars in the afternoon and 190 in the evening. On 9th & 10th January 1900 Rev. David Twrchfab Basset’s Recognition Services were held here. Rev. David Bassett was the Minister until 1912. 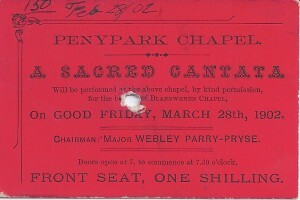 A benefit concert was held here on 28th March 1902 to raise money for nearby Blaenwenen Baptist Chape. On 2nd July 1906 tenders were sought for internal renovations here. On Christmas Day 1911 an Eisteddfod was held here. In September 1912 Rev. David Bassett accepted the call to Aberdare and left. On 23rd November 1920 Rev. Gwyn Bowen was inducted as Minister. From 1920-24 Rev. Gwyn Bowen was the Minister. In April 1922 tenders were being sought for conducting renovations. Rev. 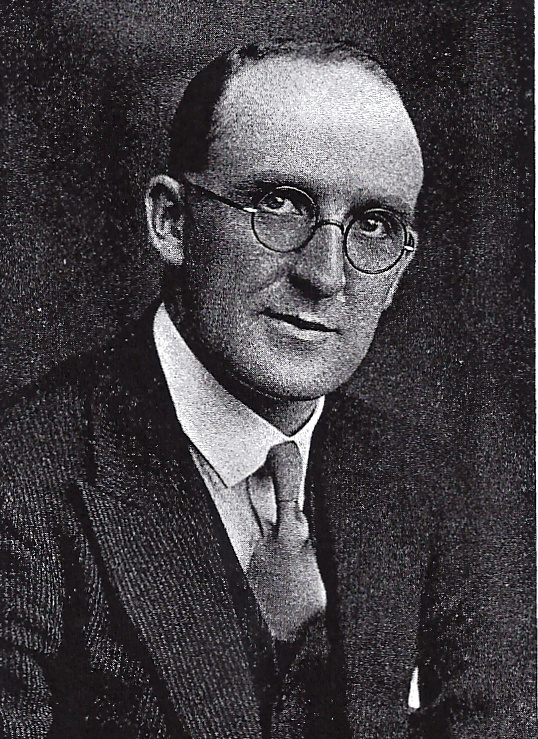 Gwyn Bowen left for Borth in March 1924. On 14th October 1924 Rev. S. B. Samuel was inducted as the Minister, but died on 9th March 1925 aged just 34. In early 1930 Rev. E. M. Lewis conducted services here. On 19th & 20th August 1930 Rev. D. Haydn Bevan became the Minister until 1968. In January 1934 tenders were sought for painting, decorating and repair – the work done to the specifications of architect John Teifion James Williams of Cardigan. 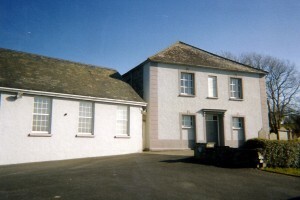 In June 1934 the Carmarthenshire & Cardiganshire Baptist Association met here – Thomas Griffiths of Trewindsor was the Chairman and Tom Owen, Cwmarch, was the secretary. In 1938 the Deacons were named as: Tom Owen, Tanner’s Hall; James James, Llainycwm; Henry O. Davies, Llwynllwyd-Fach; John Davies, Tanybryn; David Jones, Lleineprice; Stephen Jenkins, Penllain; William Jones, Tanner’s Hall (Treasuer); and Thomas Davies, Hill Park. In 1938 membership fell from 173 to 169. On 27th December 1939 an Annual Eisteddfod was held here. In 1947 the Deacons were: James James, Llainycwm; John Davies, Cwmarch; Henry O. Davies, Boncath; Griffith Williams, Felingynllo; William Jones, Tanner’s Hall; Thomas R. Davies, Aberporth; Daniel A. Evans, Delfan; David J. Davies, Glenmore; and David E. Davies, Cardigan. In 1949 Deacons Henry O. James of Boncath and Griffith Williams of Felingynllo died. Membership that year fell from 163 to 161. In 1952 the Deacons were named as John Davies, Cwmarch; Thomas R. Davies, Aberporth; Daniel A. Evans, Delfan; David J. Davies, Glenmore; David A. Davies, Cardigan, Albert R. Davies, Derlwyn, and David J. Williams, Brick Terrace. In 1952 there were 157 members. On 27th October 1954 a new vestry was formally opened here, replacing the old converted stable. In November 1955 Rev. D. Haydn Bevan celebrated 25 years as Minister. In August 1968 Rev. D. Haydn Bevan retired as Minister. On 12th November 1969 the congregation celebrated the bicentenary of the Baptist cause here. On 14th & 15th April 1970 Rev. Idris Hughes was inducted as the new Minister here. On 5th September 1973 Rev. Idris Hughes became jointly the minister here and at Siloam Baptist Chapel, Ferwig and Blaenwenen Baptist Chapel. In December 1974 he left for Pontardulais. In June 1976 Rev. George Elias became the Minister. In 1976-82 Rev. George Elias was the Minister. In 1979 the Deacons were named as John Davies, Miss Eluned Lewis; Bertie Griffiths, Haydn Lewis, Glyn Jones and Irfon James. In 1979 membership fell from 140 to 136. Rev. George Elias left on 14th May 1982. In 1982 membership fell from 134 to 131. In 1983 there was no minister and there remained none for several years. In 1990-91 the Deacons were named as Bertie Griffiths, Haydn Lewis, Glyn Jones, Irfon James, Steffan Davies and Daniel Davies. In 1989 there were 123 members. In 1993 Rev. Meurig M. Thomas became the Minister. In 1993-2003 Rev. Meurig M. Thomas was the Minister. In 2003-04 Bertie Griffiths, Haydn Lewis, Daniel Davies, Hubert Price and David Williams were the Deacons. In 2003 membership fell from 90 to 89. On 21st November 2004 the renovated vestry was re-opened. In 2005 the chapel came under the care of Rev. Irfon C. Roberts, Minister of Bethania Baptist Chapel and Capel Mair Independent Chapel, Cardigan. In 2006 Gwyneth Jones and Maldwyn Owen became Deacons. 1838 Baptist Chapel, on the site of earlier chapels, with alterations of 1906 and 1934. Coursed stone severe square block with stuccoed façade having raised stucco block pilasters to angles and hipped slate roof. Two window façade with slate sills, raised stucco surrounds, flat heads. Ground floor openings have narrow 6-pane lights above blank panels within window recess. Upper floor has 9-lights. To ground floor centre is timber door, square headed, with 3-pane overlight and projecting hood of two tiers, stepped out, on small end brackets carried by raised stucco pilasters flanking entrance. Upper floor centre has narrower recess with square head and slate sill containing marble plaque commemorating building phases.